If procrastination is a problem you find yourself dealing with now and then science-fiction writer, Jerry Oltion, has written an excellent article outlining all of fifty ways in which a writer can give him/herself a mental kick up the derriere. And judging by the number of visitors to this blog who have said something along the lines of "I haven't written anything for weeks/months", there are probably quite a few of us who could use some help on this score. I know I'm not alone! One of his tips is "unplug the TV". There's more to it than just that, but it's an argument I've often used when people have said: "I'd love to write a book but I just don't have the time." Err, excuse me, but if somebody manages to find the time to watch Eastenders, Big Brother, [fill in blank with mindless twaddle that passes as television entertainment] then surely they can find the time to write? It's just a matter of priorities. I'm not so sure about the "read a book a day for inspiration" tip, though. I mean, A BOOK A DAY? One whole book every day? He's gotta be having a laugh, right? It takes me at least a fortnight to get through a book and that's if it really grabs me. I can't even manage a newspaper a day! Well, unless that newspaper happens to be of 'The Sun' variety because if anything's easy reading, that is, right? That and The Beano. Anyway, it's worth a look because there are some good tips there, some of which I shall pin to my at-the-moment-non-existent-pin-board. You'll be glad to hear that Poppy's operation went smoothly. She's now sitting on the sofa, doped up to her eyeballs, and probably wondering what the heck's going on. After bringing her home, I had to take LM out to Tesco. When we got back, she wanted to do her usual "greeting Mum at the door" thing. Only every time she wagged, she lost her balance and fell over. As wicked as it sounds, I couldn't help but laugh. She's such a little darling! Anyway, the tumour they removed was horribly large (they had it in a jar, ready to send to the lab) and evidently her breasts contained milk so she'd recently had a phantom pregnancy. They would explain some of the strange behaviour we witnessed a while back. Now we just have to cross our fingers that the tumour is either benign or at least hasn't spread to any other organ. PS: It seems I put the wrong URL in the link to the article (Seems? There's no seems about it. I DID put the wrong URL in the link!) The fault has now been rectified. I can do both. Blogging and Big Brother go quite well together. Novelling is another matter - silence please! Hope the pooch is okay! Useless, our dopey hound, is well past his sell-by-date, trying not to think about it too much! Well, if packing, moving & unpacking aren't good enough excuses, I guess nothing ever will be! Umm... where is the article? I've tried both links and neither mention anything about procrastination - now I'm procrastinating trying to find it..! So where's the bloody party? Blimey, I'm busy today. I really want to just sit down and do nothing for a while but it looks as if I've got about as much chance of that happening as I have of winning the lottery on a Sunday morning. Oh well... I knew I should have been a nicer person in my previous life! Right, where were we? Sue. Sorry, but there are no excuses. I've got my bossy boots on now so I'm going to say that ten minutes a day, every day are a minimum. Even if it's just notes in a notebook, it's important you write something. Debi. We'll have the party when I've finished editing it and have actually sent it off. Until then, it's not really finished. I'm definitely going to edit next week because I'm already starting to feel that I've got it pretty much at arm's length and will be able to read it with a fresh mind. I'm not going to bother having others read it first, though. Either it's good enough for HMB or it isn't. I have to say I am pretty proud of myself to have come this far, though. A whole manuscript finished! Whoohoo! After gawd knows how many 'almost dones', it feels really good to have been able to write THE END. But y'know, it's the encouragement and support I've had from you lot and the members of the NWg that's brought me this far. I'm sure I wouldn't have done it otherwise. I'm so glad to hear that Poppy is ok. My pets (though I have cats, not dogs) feel like my children, so I understand the worry and concern. What a relief she's ok. I'm the queen of procrastination! I've gotten a lot better but when I was in school I was the WORST! Always putting off stuff. I've gotten better - I think. And congrats on finishing that ms! A true accomplishment! 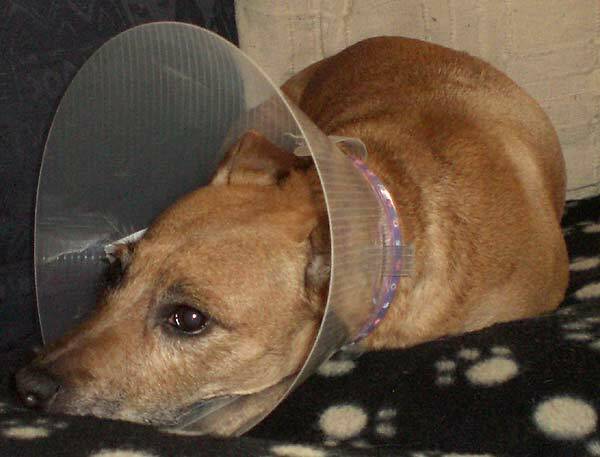 It's the worry when pets get ill that's the worse thing about having them, isn't it? But they give so much pleasure otherwise that you just have to take the rough with the smooth. Same with kids. I've got a good feeling about Poppy, though, so I'm sure she's going to be ok.
Did you cry at the end? ROFLOL!! You've probably voiced what I'll be thinking if (oops, I mean when) I reach the end. Don't worry, Sue. Even my flip-flops are of the bossy variety!